If you remember before, I had a large hutch on my table... it went elsewhere. Then I moved my sewing desk beside it, in an 'L' shape. 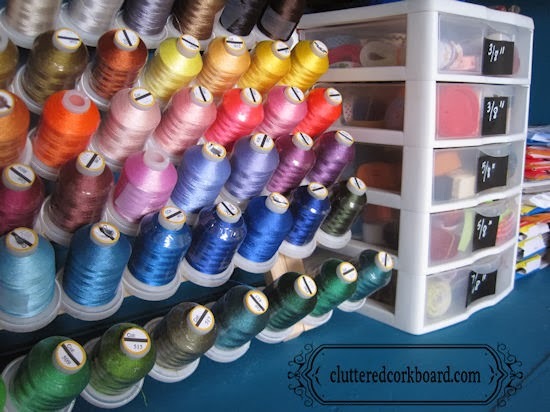 Ahhh, the sewing desk... it has came a long way since I got it..
You can also see what is inside my sewing desk and how it is organized HERE. me extra surface area to work on with scrapbook designs, and so on when it isn't being used. An assortment of frequently used items stayed on the craft table..
but there is so much space now, it is nice that none of it is in my way. My new artwork which I am really loving.. you can see how I made it HERE. This makes it so much easier to find what I am looking for... everything in it's place. 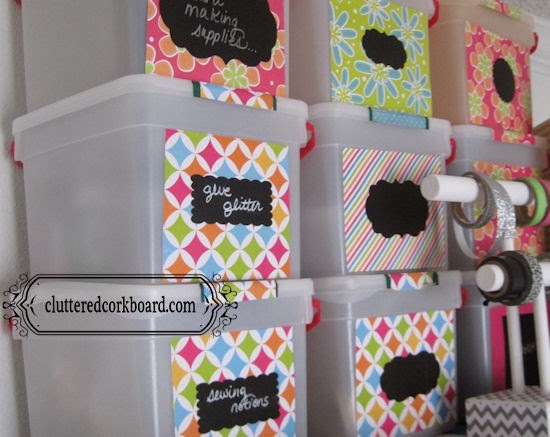 plastic drawer container, and I have them organized by size... 3/8", 5/8", and 7/8". I placed a side table that I had in between the 2 stacks of cubes. 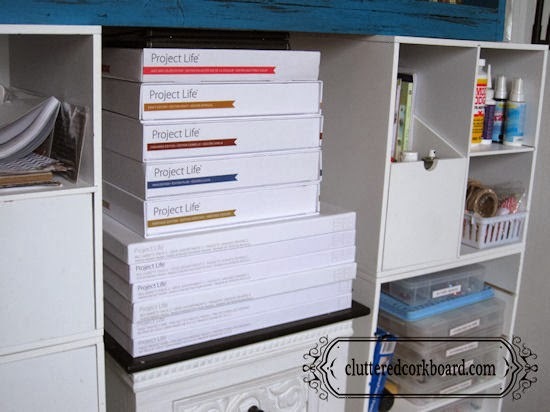 my project life scrapbooking supplies on. I wanted to keep organized, but are not used quite as often. 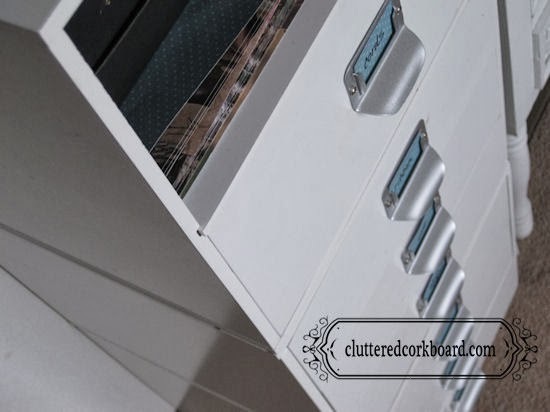 from shipping supplies, to ribbon, to beads, to scrapbooking items... All neatly tucked away. and it worked for the most part. However, I realized when I analyzed the "before space" that I didn't really need the bookshelf..
so it went to the garage. I wanted the closet space for something entirely different.. so I emptied it out. so the cubes became the base for my hutch. 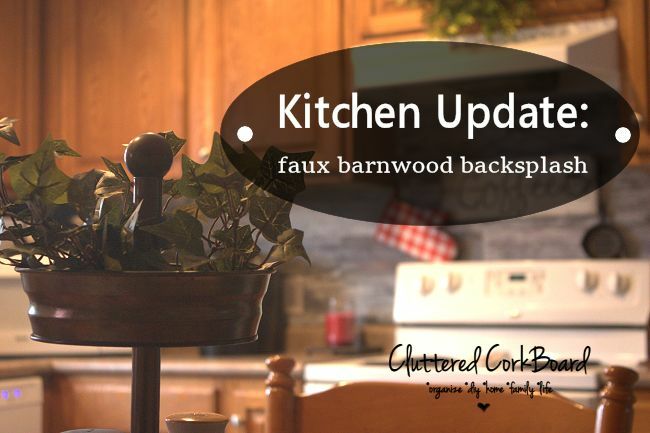 is going from pale gray (drab) walls, to a bright and crisp white! It makes the colors pop so much more, and is just a great place to spend some time. you can see all about that side of the room HERE. Looks awesome Tina! 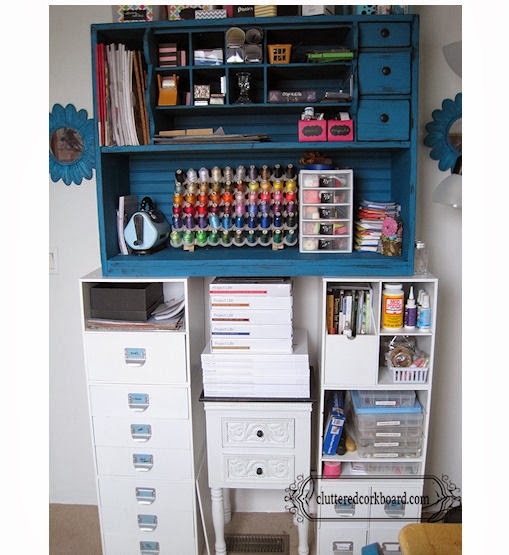 I love all the Michael's storage cubes...I have a couple of them and the desk carousel and love them. I would like to have more but have no clue where I would put them...lol! 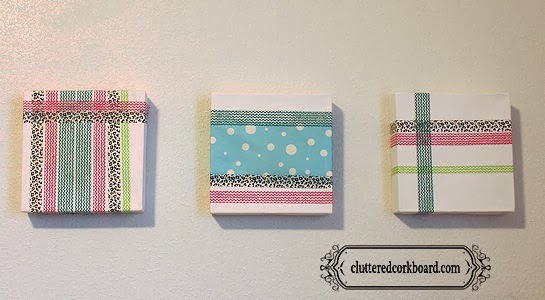 I think white was the perfect choice for your walls...makes the colors pop! 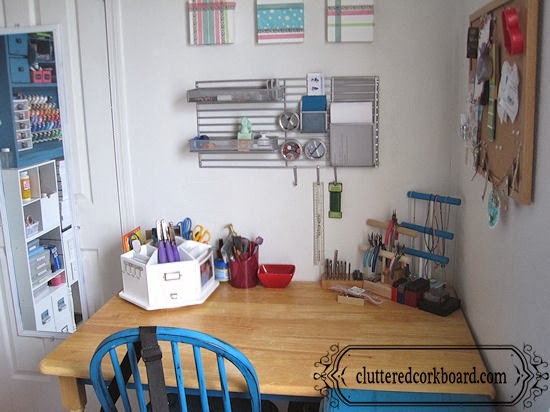 I can't wait to repaint my two green walls white in my craft room! Hopefully soon. 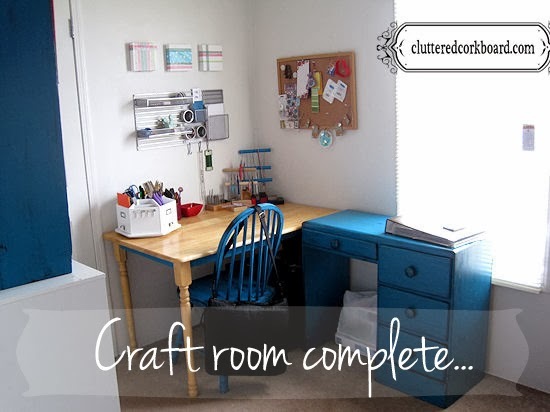 Have a great week and happy crafting in your beautiful "new" room! Oh wow! I'm jealous! 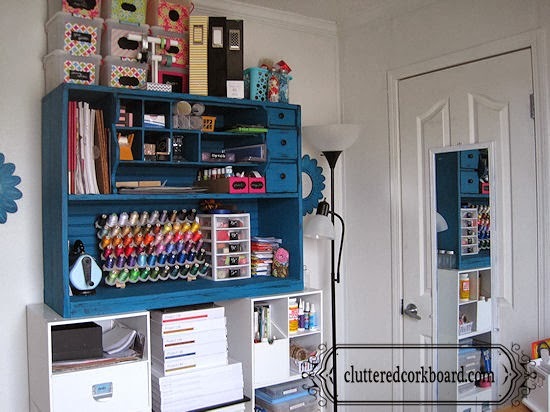 What an amazing craft room. Ok, I've nominated you for a Liebster Award! If you'd like to participate, the rules and questions are over on my blog at http://cutetotontheblock.blogspot.com/2014/03/liebster-award.html. I can't wait to read all about you! Gorgeous! So organized. 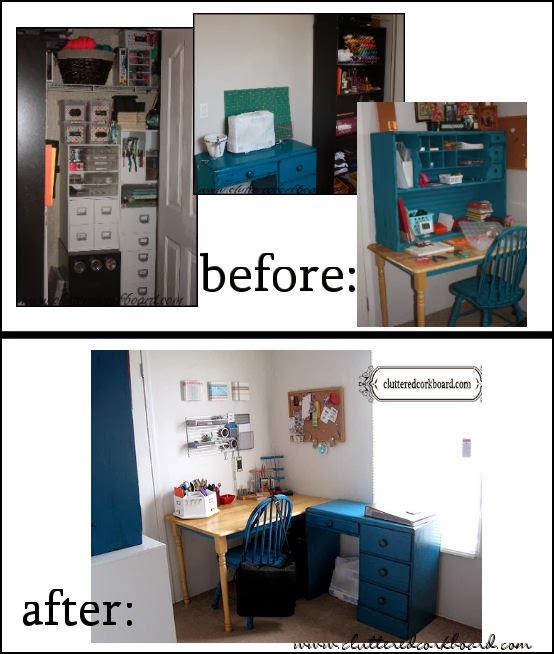 Love that blue desk.